In a high profile clash at the Emirates stadium, The Gunners took on their north London neighbours Tottenham Hotspur. Coming into this game, Spurs were high on confidence as they had beaten a strong Chelsea side 3-1 and followed it up with a 1-0 victory over Inter Milan in the UEFA Champions League. On the other hand, The Gunners were cruising smoothly under Unai Emery and a victory over Spurs would make them title contenders. Tottenham went with a 4-1-3-2 formation with Son and Kane as strikers. Alli, Eriksen and Sissoko formed the attacking midfield of Spurs with Eric Dier shielding the defence. Emery opted for a 3-4-3 formation with Mkhitaryan, Aubameyang and Iwobi up front. Right from the whistle, Momentum continued to shift between the sides as both played top-class attacking football throughout the 90 minutes. Spurs went into the break leading 2-1 after goals from Dier and Kane but Arsenal staged a spirited comeback in the second half. 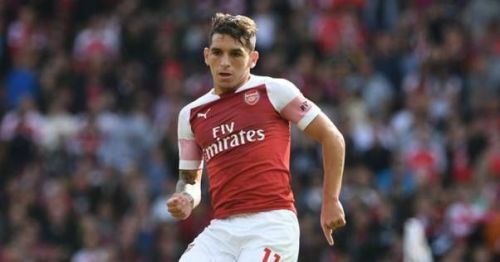 In the end, Lucas Torreira scored his first goal in the Premier League and led the Gunners to a comfortable 4-2 victory. Here are the Hits and Flops from this memorable match. The main reason Torreira was signed by Arsenal during the summer was his ability to break open the games against high profile teams with attacking style of play. Against the Spurs, He performed his job to perfection and left the Spurs midfielders breathless with his ferocious tackles and interceptions. He never let the Spurs midfielders to keep the ball for long as he pressed hard to win back the ball whenever it was lost. 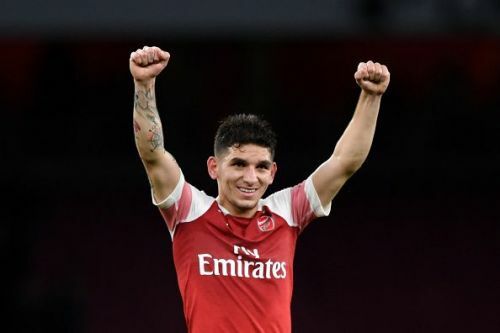 Torreira was a bouncing ball of energy and never looked tired even for a second in spite of his tremendous work rate. After toiling hard for his team, He finally got the reward for his hard work as Aubameyang picked him out perfectly inside the penalty box and Torreira deposited the ball into the nets with calmness to give the Gunners a stunning victory. This was a high-quality display of Uruguayan grit and determination from Torreira and the Gunners will be hoping he maintains this form as they look to seal a top-four finish this season.